Zebra Print Polka Dot Wall Decals with Hot Pink and Black Dots Wall Stickers / Zebra Print DecorCategory: Polka Dot Wall StickersAdd some color to your Childrens Wall Decor with these 50 individually cut out Zebra print, Hot Pink and black dot Decals on two sheets that measure 14in by 9in. 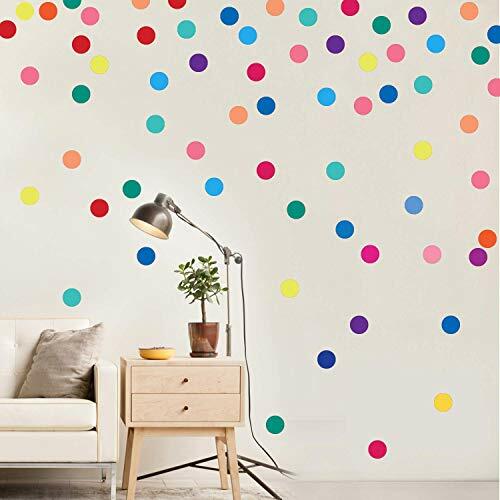 Each zebra dot wall Decal varies in size with the largest dots measuring about 6in. to 5in in diameter. There are about 8 dot Wall Decals that measure between 4 1/2 to 3in. in diameter and there are about 19 polka dot Decals that measure about 1in to 1 1/2 in. These wall decals are easy to use just peel and stick them to just about any smooth surface. These are Removable Wall Decals so they are very easy to remove and re positions if needed. These Zebra Print Wall Decals will stick to walls, wood, plastic and can even be used as School Locker Decals, as they are cleanly removable. 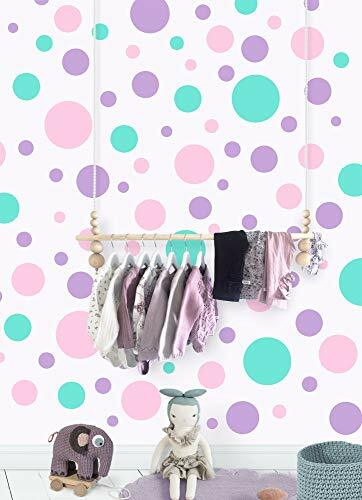 26pcs/set Acrylic Polka Dot Wall Mirror Stickers Room Bedroom Kitchen Bathroom Stick Decal Home Party Decoration Decor Art Mural Stickers DIY Decals Art Decal Room DecorationCategory: Polka Dot Wall StickersPlease note, this item ships from an international seller. Expected delivery is 10-15 days. International ShippingThese are beautifully DIY Wall Mirror Stickers for your home or office, you can put them on the wall, window or DIY to different decals, which makes your room a refreshing look.Features:Easy to apply, just peel and stick.Suitable for living room, dining room, study, office, etc.26pcs round stickers with 4 different sizes in a package.Nice DIY wall mirror stickers that you can design a pattern as you like.Acrylic wall mirror stickers, which is clear but not as breakable as glass.A beautiful art wall decal for your home or office and makes your room a refreshing look.Specifications:Material: AcrylicColor: Golden / Silvery (Optional)Item Size:15cm / 5.90in (2pcs)8cm / 3.15in (4pcs)6cm / 2.36in (6pcs)3cm / 1.18in (14pcs)Package Size: 10 * 15 * 2cm / 3.94 * 5.90 * 0.79inItem Weight: Approx. 77g / 2.72ozPackage Weight: Approx. 78g / 2.75ozPackage List:1 * Pack of Wall Mirror StickersNote:Make sure that the surface is smooth, clean and dry before you stick it. Any greasy dirt or water will influence the perfection of the sticker.Please peel off the protective layer from mirror surface after apply them on the wall. Assorted Vinyl Polka Dots circle wall decals vinyl stickers nursery decor (Pink & Dark Pink/set of 32)Category: Polka Dot Wall StickersColor:Pink & Dark Pink/set of 32 This is a high quality removable decal made in the USA by Wall Sayings Vinyl Lettering. 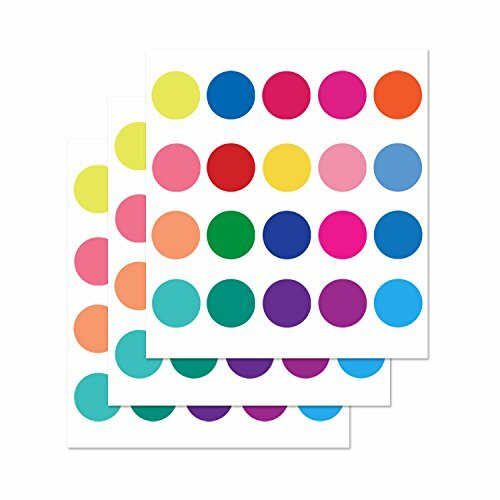 You will receive one set of 32 polka dot decals as shown in the picture. 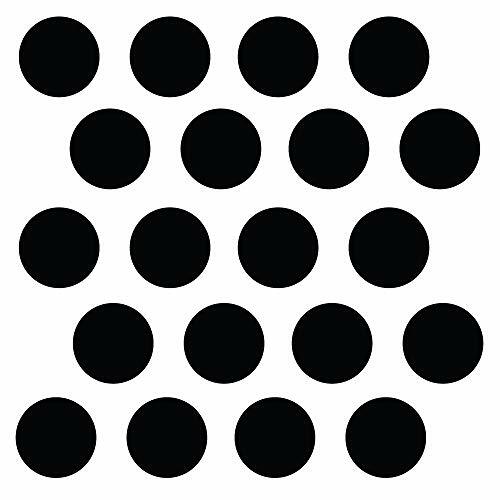 The dots come in the following sizes: 6- 3', 2- 3.5', 2- 4', 4- 4.5', 4- 5', 2- 5.5', 4- 6', 2- 7', 4- 8' and 2- 10'. It comes ready to apply and includes easy to use application directions. Our customer service phone number is included with all orders so you have someone to call if you have installation questions. Vinyl Lettering is one of the latest trends in home decor, these vinyl decals are removable (but not re-usable). This high quality decal gives the look of being hand-painted without the cost, time, mess, and permanent paint on your wall. You can apply them to walls (smooth or lightly textured), dorm rooms, mirrors, windows, doors, cars, books, lockers or almost any flat surface. If you ever need to remove it use a blow drier to heat up the vinyl while you slowly pull it off the wall, you'll never know it was there. Purple Wall Dot Decals (63 Wall Dots) ~Vinyl Polka Dot Wall StickersCategory: Polka Dot Wall Stickers(63) Polka Dot Wall Decals. Peel and Stick vinyl circle theme wall stickers. Each vinyl sheet is 11" X 14". Removable wall stickers which do not leave any residue or harm walls. 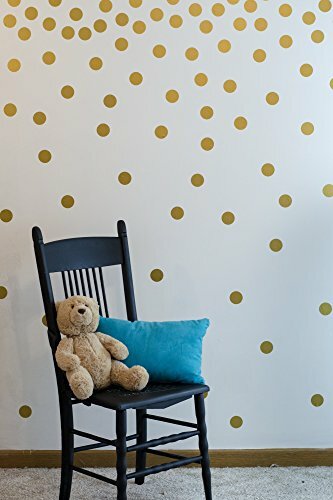 Polka Dot Wall Stickers are 3" - 6.5". 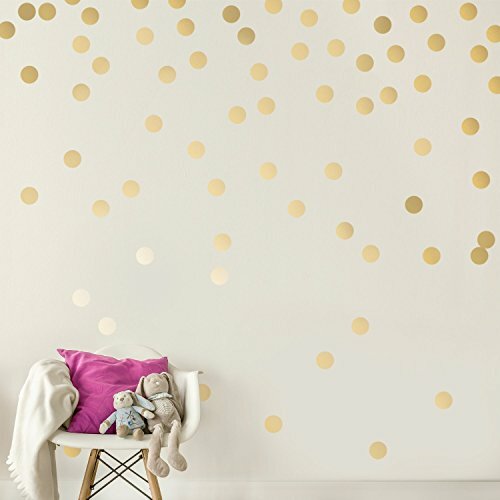 Gold Polka Dot Decals (63 Wall Dots) Peel & Stick Wall Stickers 3" - 6.5"Category: Polka Dot Wall Stickers(63) Polka Dot Wall Decals. 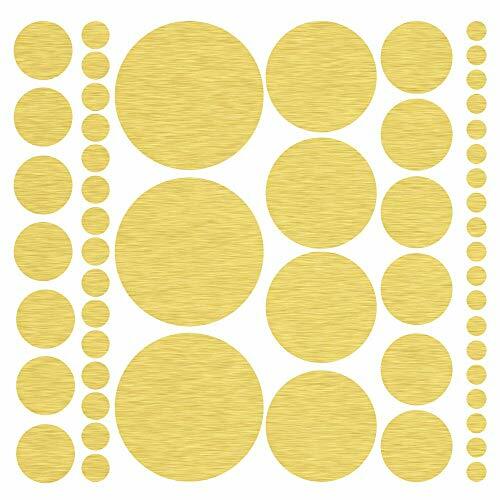 Peel and Stick vinyl circle theme wall stickers. Each vinyl sheet is 11" X 14". Removable wall stickers which do not leave any residue or harm walls. 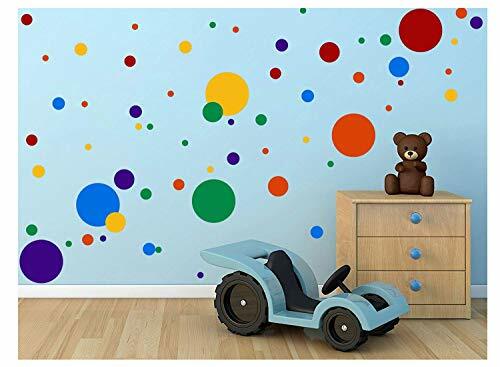 Polka Dot Wall Stickers are 3" - 6.5". Pink Polka Dot Wall DecalsCategory: Polka Dot Wall Stickers(63) Polka Dot Wall Decals. 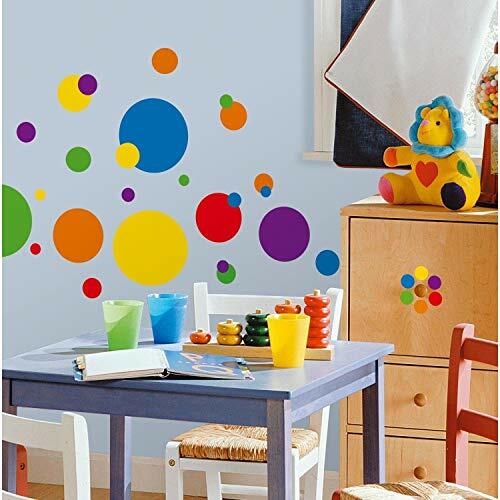 Peel and Stick vinyl circle theme wall stickers. Each vinyl sheet is 11" X 14". Removable wall stickers which do not leave any residue or harm walls. 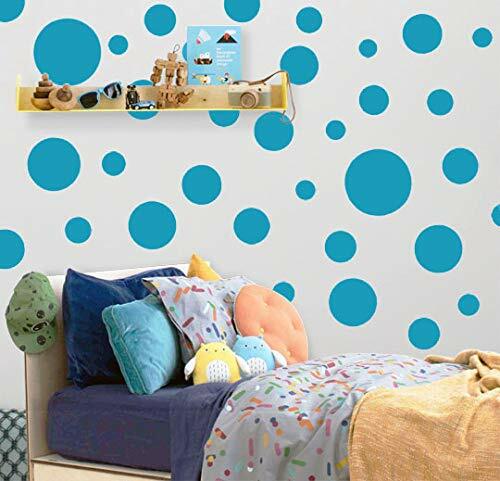 Polka Dot Wall Stickers are 3" - 6.5". Teal Polka Dot Decals (63 Wall Dots) Peel & Stick Wall Stickers 3" - 6.5"Category: Polka Dot Wall Stickers(63) Polka Dot Wall Decals. Peel and Stick vinyl circle theme wall stickers. Each vinyl sheet is 11" X 14". Removable wall stickers which do not leave any residue or harm walls. 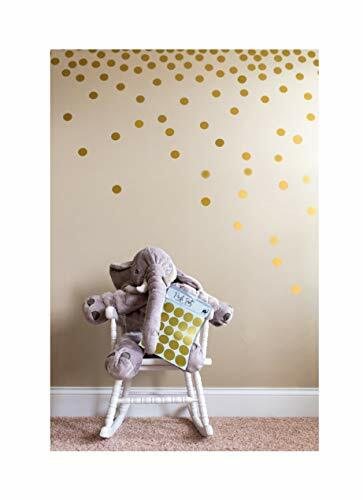 Polka Dot Wall Stickers are 3" - 6.5".